On the Ranch Fire crews worked hard to hold already established lines as the fire expanded in the east and southeast. The Ranch Fire is at 235,000 acres and 21% containment, having grown another 10,000 acres today. 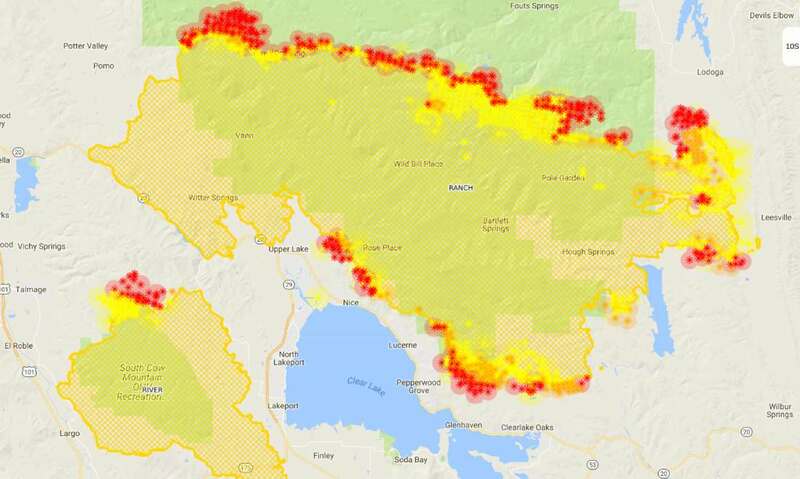 The two fires counted together, as the Mendocino Complex, are now the largest fire in the recorded history of the state, at 283,800 acres -- the Ranch Fire by itself is the sixth largest. The fires have destroyed 75 residences and 68 other buildings but have not killed anyone nor caused a major injury to firefighters or civilians. Some of the eastern parts of the Ukiah Valley are without power, approximately 700 customers are affected in Ukiah. It's unclear if this is directly connected to the fire, but PG&E has been doing work to rebuild and restring power lines in the areas where the fire hit, so it's entirely possible that a line may have been de-energized as part of this continuing work. Due to zero population at the Kelseyville High School evacuation shelter it has closed. There are still shelters located at Lower Lake High School, Middletown High and Middle Schools, Twin Pine Casino and Mt. Vista Middle School. 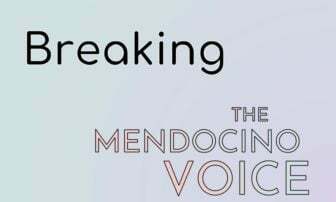 MENDOCINO Co., 8/6/18 -- The monster that is the Mendocino Complex continues to grow, having climbed the ranks of the largest fires in recorded California history, incredibly rapidly. The complex is now only a couple thousand acres shy of becoming the largest in state history, and it has done so in a remarkably brief period. In contrast to the current largest fire in state history, the 2017 Thomas Fire, which burned for over a month before being contained, the Mendocino Complex has attained this enormous size in under two weeks. The Complex has now grown to 273,664 acres with 30% containment, and CalFire has confirmed the destruction of 75 residences and 68 other structures -- though this number should continue to climb as CalFire teams enter burned out areas to make a careful accounting of the situation. Thankfully, there have been no fatalities or major injuries on this fire, to firefighters or civilians. But there are increasing successes in the battle against this blaze. Hwys. 20 and 29 re-opened yesterday, though Hwy. 20 remains closed from Hwy. 29 to Hwy. 53, and large sections of Lake and Mendocino counties have been repopulated. Still, most of the communities on the northern shore of Clear Lake remain evacuated. Though the fires are being counted together as one "complex," they remain two seperate fires (if only by a couple miles of unburned land south of Hwy. 20). According to this morning's CalFire fact-sheet the River Fire is now at 48,663 acres with 58% containment, having grown very little over night. In his morning online briefing (see below) CalFire Section Chief Charlie Blankenheim described yesterday as "a very good day." The southern perimeter of the River Fire has been contained and controlled for several days. And yesterday firefighters made substantial progress on the northern flank, completing a dozer line through rugged terrain and lighting backfires to throughout this northern areas. These backfires give off large plumes of smoke, and their flames have been visible from Ukiah, but it should be remembered that they are a firefighting measure, and though they may appear threatening from the Ukiah Valley, they instead represent progress in containing the fire, and ensuring that it does not actually threaten the valley. The Ranch Fire is 225,001 acres and containment has decreased to 21% -- making this fire the sixth largest in state history by itself. At the southeastern end of the fire, where it began, the area has been burnt out and mopped up, and no fire threat remains, which allowed for the opening of Hwy. 20. The containment line on the ridge along Mid Mountain Rd. (near Potter Valley) is holding strong, and Forest Service firefighters have built a dozer line in an arc from Mid Mountain Rd. under Lake Pillsbury to defend that community and vital infrastructure. 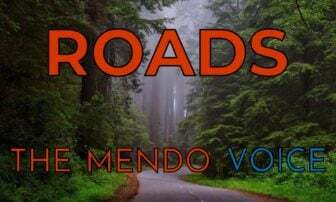 In the coming days, and perhaps longer, this line will be extended east through the Mendocino National Forest, potentially through the Snow Mountain Wilderness, to keep the fire from continuing to move north through the National Forest. Firefighter has success in strengthening the containment line to the north of Upper Lake, but just to the east there remains a long stretch of open fire line threatening the communities of Nice and Lucerne. Yesterday the fire was held back along this line with direct fighting and aircraft, but the land there is extremely rugged and difficult to work in. The line was held through the use of between 15 and 18 helicopters, scooping water from Clear Lake -- and the aid of two DC-10 very large air tankers (VLATs) as well as the 747 supertanker, along with several CalFire prop tankers, for a lot of 10 to 12 airtankers dumping on that fire line through the day. Farther to the southeast there has been good progress in tying in dozer lines to the old containment lines for the Pawnee Fire, which burned only weeks ago. In the far east of the fire, firefighters have build dozer lines the valley flats, west of Ladoga Stonyford Rd. The amount of work on this fire is truly tremendous and expensive, with California rapidly running through the money budgeted for the summer fire season. There are currently 3781 personnel on the fire, 432 engines, 15 helicopters, 89 water tends and 80 dozers, preforming what amounts to an enormous public works project as they lay miles of fire breaks and protect thousands of houses. Add to this aircraft from across California, not just prop tankers, but DC-10s, C-130s and of course the famous Tanker 944 the 747 supertanker, and one begins to see the enormous financial cost of fighting the fire, not to mention the huge loss of property, and cost of rebuilding. 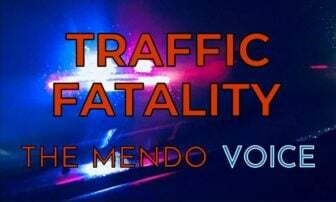 In Mendocino County, the main shelter is at Mendocino College at 1000 Hensley Creek Rd. in Ukiah. The large animal shelter is at the Redwood Riders Arena at 8300 East Rd. in Redwood Valley. The small animal shelter is at county's animal shelter at 298 Plant Rd. in Ukiah. 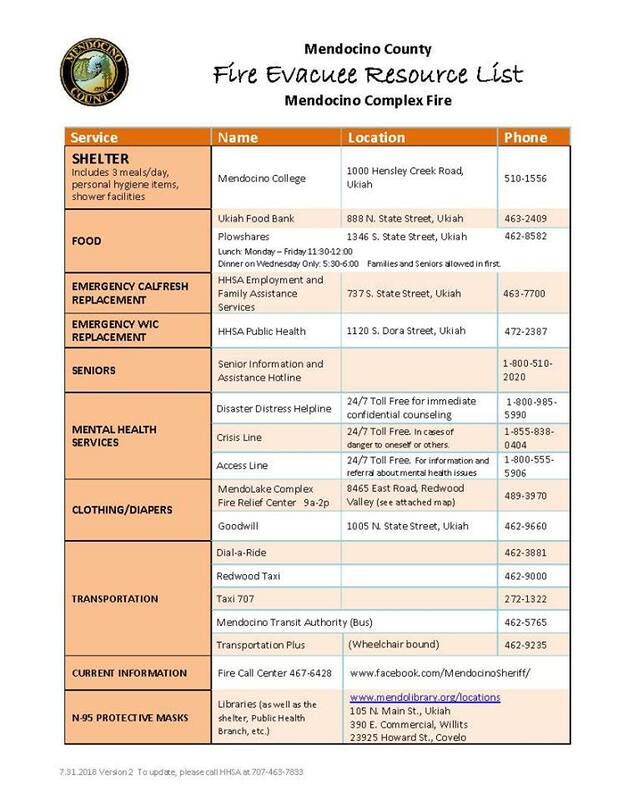 Mendocino County resource and assistance list.